Download your invoices on your ExpenseIn account. Navigate to the Account drop down menu. 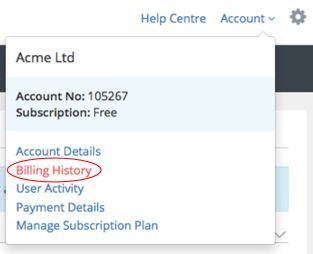 Choose Billing History from the list. In this area, you can see your account balance and you can download your invoices. The invoices will be downloaded to PDF.